Big Hollywood fantasy films have become obsessed with jewelry. In Star Trek Beyond, Uhura’s Vulcan Necklace was key to the story. Jyn Urso clutched her Kyber Crystal at critical moments in Rogue One. All kinds of talismans, secret symbols and royal jewels appeared throughout The Last Jedi. And, of course, Wonder Woman has her bracelets. 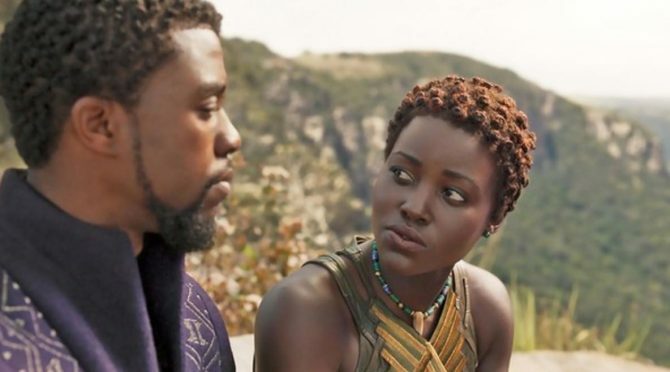 The importance of jewelry in the blockbuster Black Panther, however, supersedes all these other films. In the Marvel movie, jewelry is symbolic, scientific, stylish and so much more. 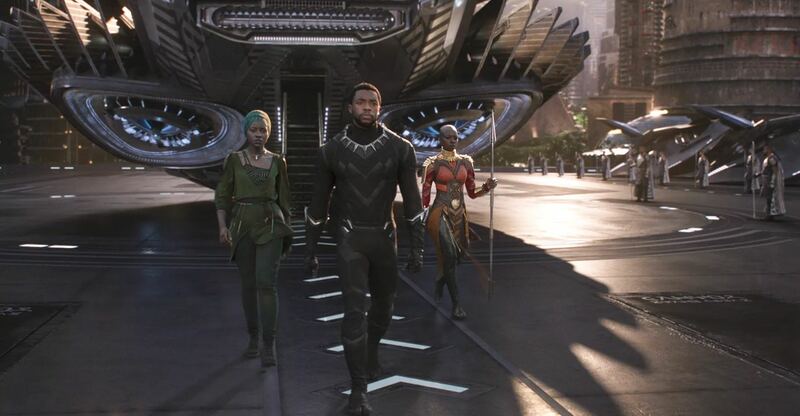 A fictional mineral called Vibranium is the source of the prosperity and scientific superiority in the east African nation Wakanda where the Black Panther, aka King T’Calla, lives and benevolently rules. The origin story of Vibranium is amazingly similar to the real-life narrative of platinum. Both came to the earth from meteors and have been used in advanced technology. Beyond jewelry, platinum can be found in everything from computers to cars and pacemakers. Vibranium goes to the Marvel comic extremes of capabilities. It provides the Black Panther with his superhero strength. It powers flying cars and cures a bullet wound overnight. Vibranium also appears in jewelry. Every Wakandan receives the prime bead of a Kimoyo bracelet at birth according to the Marvel Wikia. It taps into the powers of Vibranium and stores their medical history. Over their lifetime, more beads are added that have various powers such as communications, tech akin to a mobile phone or the internet. The jewels only work within the borders of Vibranium rich Wakanda. 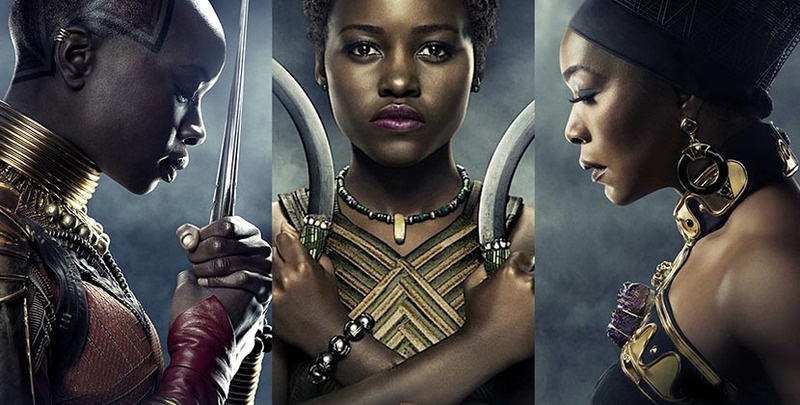 While all the citizens from Wakandan tribes wear a Kimoyo bracelet (note the one on Lupita Nyong’o in the photo at top), other jewelry in the film is a reflection of character. Jewelry was so critical the costume designer Ruth E. Carter engaged designer Douriean Fletcher to become part of the on-set team as the specialty jeweler. Douriean’s bold demi-fine collection as is, looks as though it would naturally fit in the stylish attire of the tribes in Wakanda. The Los Angeles based talent first became attracted to jewelry when she traveled throughout Tanzania and South Africa. She explained to the Los Angeles Times, “The thing that got me into jewelry was seeing the Zulu people. 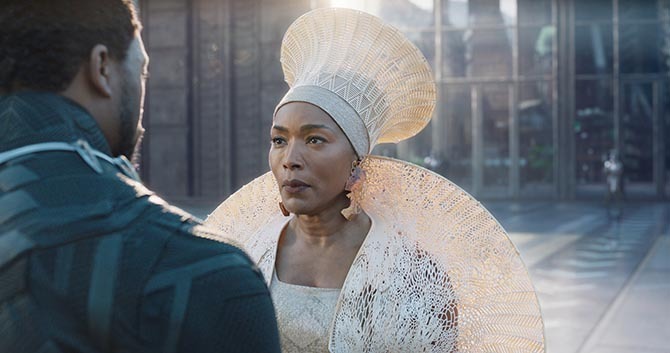 Everything they put on means something.” In Black Panther the jewelry Douriean created, even if it is not explained in the plot, all feels like it does indeed mean something. There is no mistaking the fact that Queen Ramonda (Angela Bassett) is royalty. Her striking crown jewels are sensational statements. One neck piece that was worked into her costume (seen in the photo at top) includes a large amethyst crystal. The gem is repeated in her earrings with large discs. The earrings she wears with a couture macramé-style gown echo her regal profile. It is a signature of Douriean’s personal work to feature faces in her designs. Nakia (Lupita Nyong’o), who is a spy and the love interest of King T’Calla, wears a bead necklace as her signature jewel. 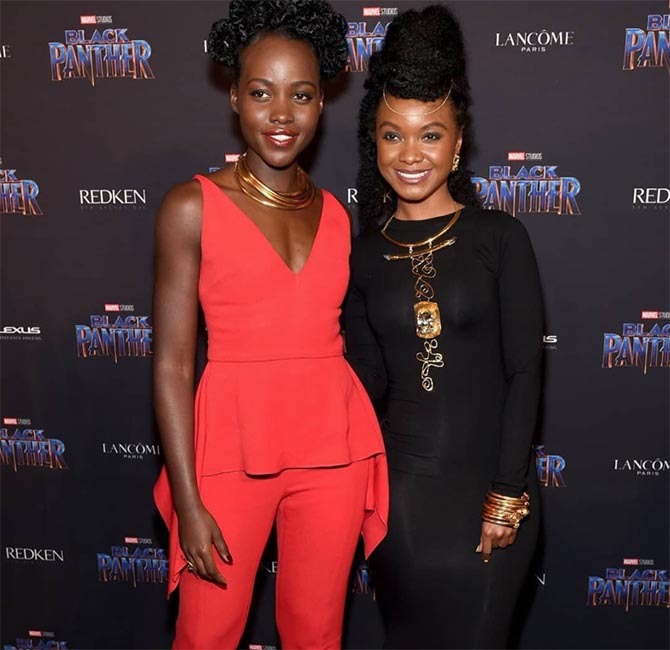 When she is outside Wakanda her jewelry is a reflection of contemporary styles. She wears asymmetrical earrings and single neck wires among other things. 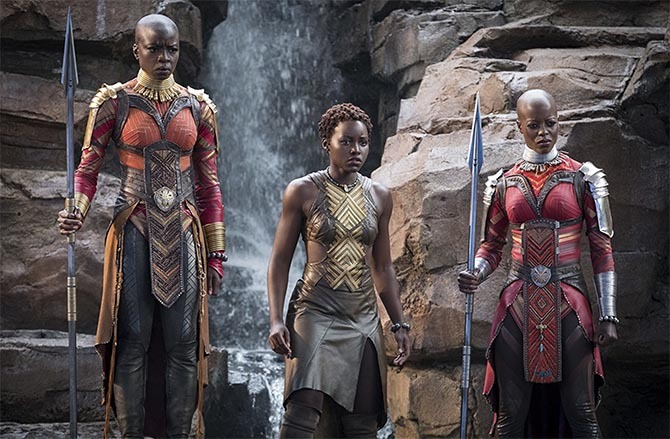 The jewelry and body armor of the Dora Milaje (pronounced “dora-meh-LAH-shay”), the incredible woman who act as body guards to King T’Calla, is extraordinary, eye catching and as scene stealing as the leader of the warriors Okoye (Danai Gurira). Rank is shown by the fact that Okoye’s accessories are gold and the other guards have silver. 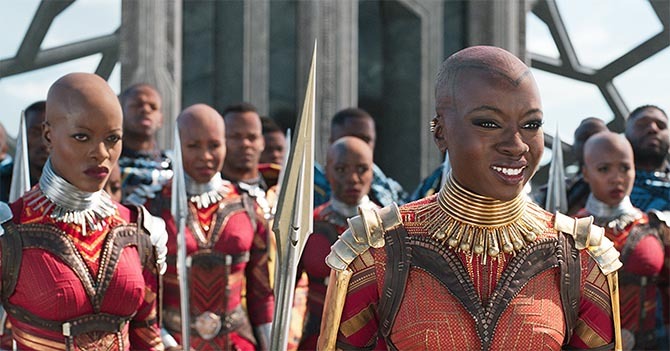 The Dora Milaje neck rings and wire cuffs, that extend from their wrists up the forearm, are as empowering as could be. The rayed necklaces are sensational. And the ear cuffs reveal an eye for detail in the jewelry costuming not to mention a nod to real life trends. 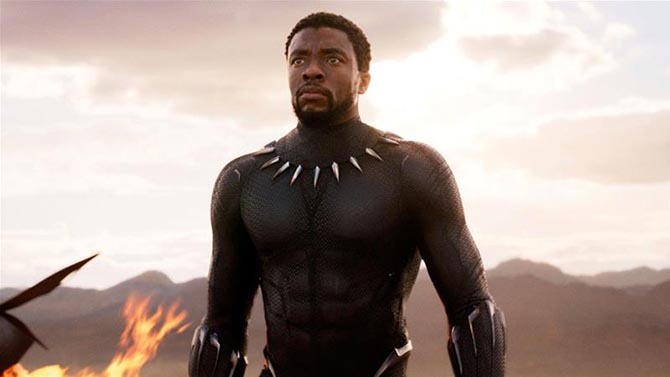 There are several key jewels for the Black Panther, King T’Challa (Chadwick Boseman). During his coronation at Warrior Falls, he isn’t crowned but given a simple necklace. A Wakandan Royal ring reveals clues to his father’s story. The Black Panther’s main piece of jewelry is his Claw Necklace. Conceived by his genius sister Shuri (Letitia Wright), it has the power to make his super hero suit and mask cover his body in an instant. The most iconic jewel in the movie, the Claw Necklace appears alone on the cover of the Black Panther album. In her officially licensed collection of Black Panther jewels, Douriean riffs on the design in pieces for men and women. As the sequels for this blockbuster film begin to roll, we can only hope Douriean expands the collection. A pair of Dora Milaje wire cuffs are tops on my wish list.